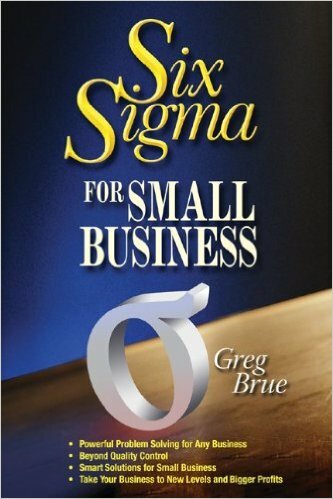 Six Sigma for Small Business is the first book to apply six sigma to the unique challenges of a small business. It shows how to use the methodology in all aspects of business to identify and fix problems, with chapters on: accounting, finance, sales and marketing, purchasing a business, human resources, and developing new products. It walks you through a step-by-step implementation of six sigma, describing how to identify needs, develop metrics, and set objectives. It also provides real-life examples of small-business six sigma success stories.